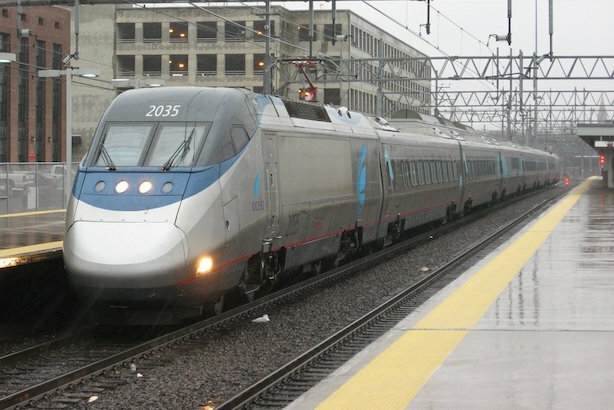 Crisis communicators not impressed with Amtrak's crash response; How Verizon is changing its image with AOL deal; College student confronts Jeb Bush about brother's Middle East policy. 1. Federal investigators continue to look into Tuesday night’s deadly Amtrak crash in Philadelphia, which killed seven, focusing on why the train was going 106 mph before it derailed and the decisions of the engineer in charge. The part of track where the crash took place did not have the latest safety controls, investigators said Wednesday. Crisis communicators panned the railroad’s crash response, criticizing it for not using social media more actively after the incident. 2. Verizon is trying to change its image from that of a boring establishment company to an exciting disruptor through its acquisition of AOL, aside from buying advertising technology, of course. However, executives gave the in-the-works deal an old-school code name during negotiations: "Project Hanks," after the actor who starred in You’ve Got Mail. 3. A college student confronted assumed presidential candidate Jeb Bush on Wednesday in Reno, Nevada, telling him, "Your brother created ISIS" with his Middle East policy. The encounter again raised questions about how much George W. Bush’s presidency will hinder his brother’s prospective candidacy. 4. Facebook’s push to get its business partners to raise wages and improve benefits for their workers drew praise from the Obama administration and labor groups on Wednesday. White House press secretary Josh Earnest said, "It’s good for business, and the president thinks it’s good for business, too." 5. More than a quarter-million Europeans have asked Google to delete some information about them in the year since a European Union court signed off on the "right to be forgotten" process. The company has also examined 1 million websites to determine which should be removed from its search engine results. 6. Honda Motor added 5 million cars to a recall due to possible malfunctions with Takata airbags. Earlier this week, Toyota and Nissan expanded their own recalls by 6.6 million cars. 7. A top member of President Barack Obama’s Secret Service detail has resigned amid a probe into agents’ behavior when they allegedly crashed a car into a White House gate during a bomb threat in early March. A Homeland Security inspector said they were most likely impaired by alcohol at the time.